Kudos to element14 for their work on growing their community of makers and educators. I happened on their Great micro:bit Education Giveaway publication while looking for out-of-stock micro:bits packages. I had a compelling story about our work with at-risk youth at Boys’ Town and Muhammadiya Welfare Home, and now we have a bunch of micro:bits we can use to do more good! 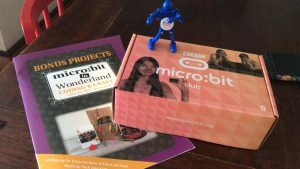 We are contacting our non-profit partners to find a good home for the micro:bit Club pack, before the year-end holiday season. 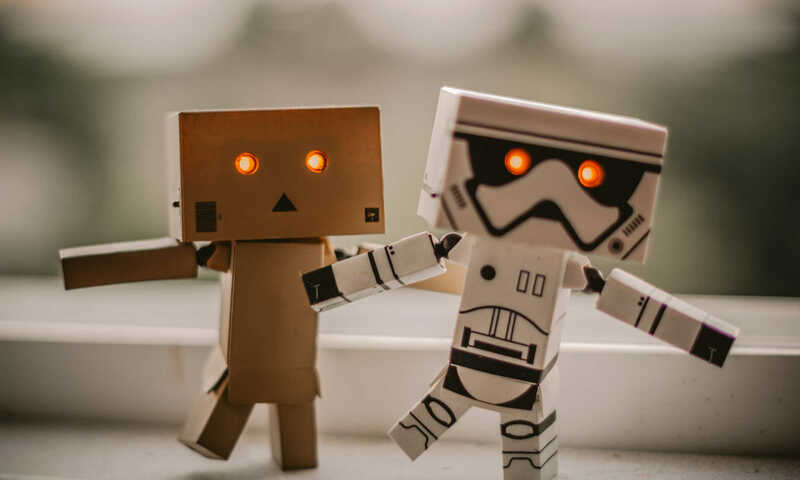 Earlier this year our friends at Tinkertanker contacted us with a sort of unsolicited welcome to the Tech Education marketplace. We really appreciated that professional courtesy. 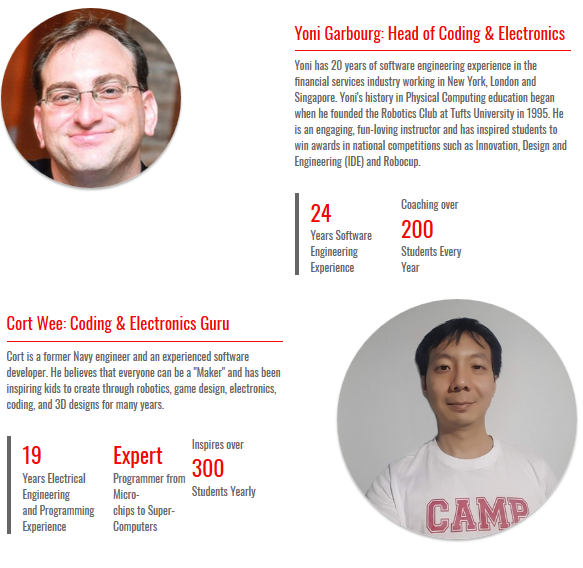 And we’ve been collaborating with them on several projects ever since, teaching Secondary level courses like Arduino and Python/Processing. They also referred us to Camp Asia – a leading holiday camp and extracurricular activity provider run by Cognita, the owner of both Australian and Stamford American International Schools. We built up our relationship with Camp Asia, and now we will be participating more closely with them on their Tech Savvy offerings as their so-called Head Coaches for Creative Coding and Electronic MakerSpace – original curricula curated especially for this collaboration. Thank you Tinkertanker and Camp Asia for helping us grow and putting your trust in us! Integrating a mess of controller, wires, sensor, servo and LEDs into a security system. 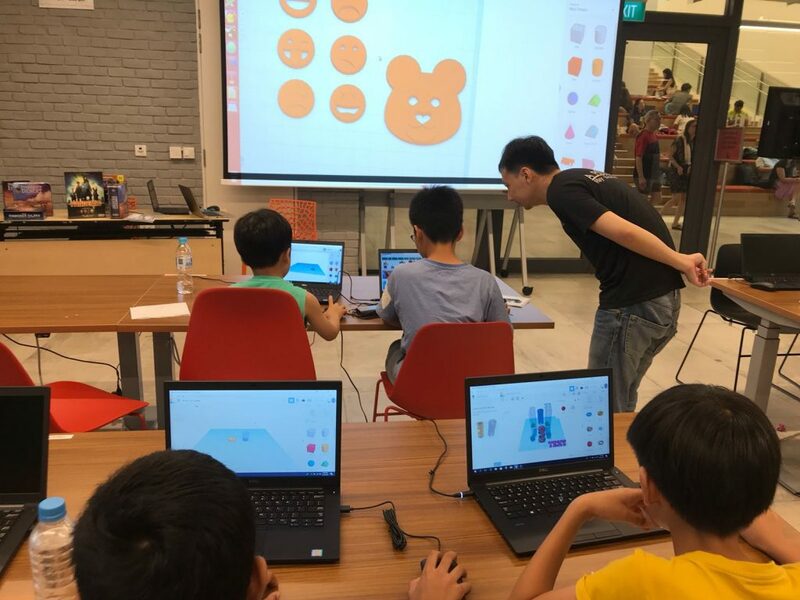 Throughout July and August we delivered our biggest educational program yet – a cohort of ~315 students for 10.5 hours of micro:bit-based, physical computing and making module following a sustainability and innovation contextual arc. 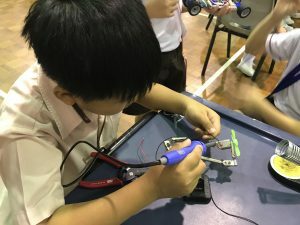 The kids got to explore all sorts of external electronic components, from simple LEDs to water pumps and servos, hygrometers and IR proximity sensors. It was a breadth-first bonanza, but the class sizes (1:40 ratio) and short session durations (1.5 hr) prevented us from really digging down, although at the end the kids were testing their own limits, which was great to see. Water & Electronics – not the best mix… Still, this girl team of makers didn’t fry anything! I think we could concentrate on something less open-ended and get better student participation rates, sacrificing our own interest and the rare oddballs who are best-suited for a more creative approach. Kids’ final projects ranged from Bluetooth-powered messaging between multiple micro:bits, proximity-triggered security systems with buzzers and LEDs, and self-watering plants. The sustainability gambit colored all of the work and learning. It was a labor of love, but boy was it labor. We sourced electrical components, packaged hundreds of kits, created a custom-tailored curriculum, and printed hundreds of personal worksheets & guides. This is about the largest I’d want to get for a while. Any bigger and I think we’d lose a sense of what we’re actually doing. 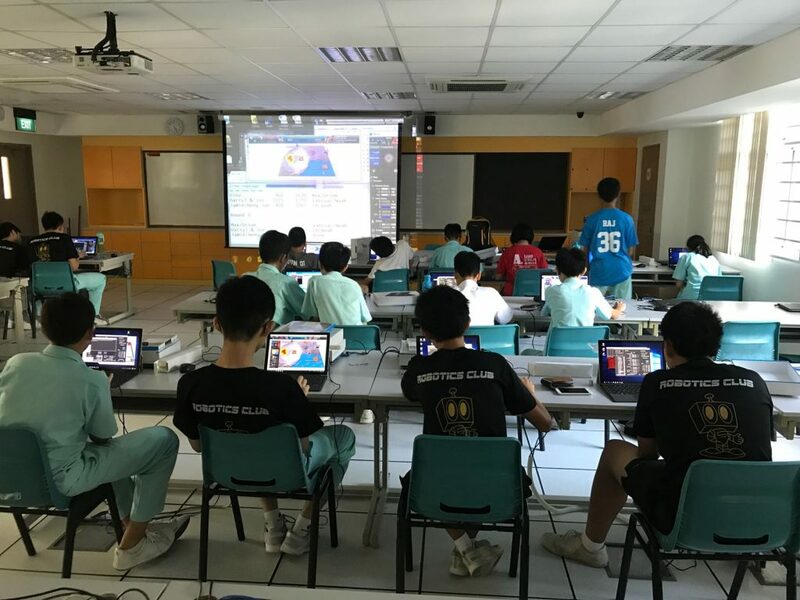 Earlier this month, we continued to deliver our STEAM in Singapore Schools series of talks during the launch of a new Drone Operators Course at the Sumiran Eco Camp outside Kuching, Sarawak on the Malaysian island of Borneo. 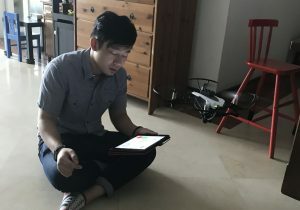 Our participation here is due to our informal partnership with a consortium of business and academic interests trying to help revolutionize Palm Oil farming utilizing automation and modern data analytics and agronomic technology. 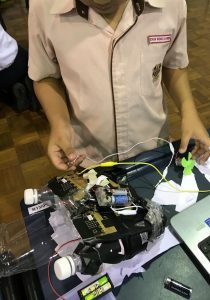 As STEAM educators and engineers are our role in this venture is yet to be completely clarified, but with the launch of several Unmanned Aerial Systems (UAS) & Robotics Academies in Borneo and Kuala Lumpur, we may be getting closer to operational requirements for STEAM education and basic Drone flight and controller programming courses. We look forward to working with Captain Sudhir and his team in the near future. It was also an honor to sit on a panel with various professors from prestigious schools like SMU and ESSEC business school, as well as the current French Minister of Digital Transformation in France. 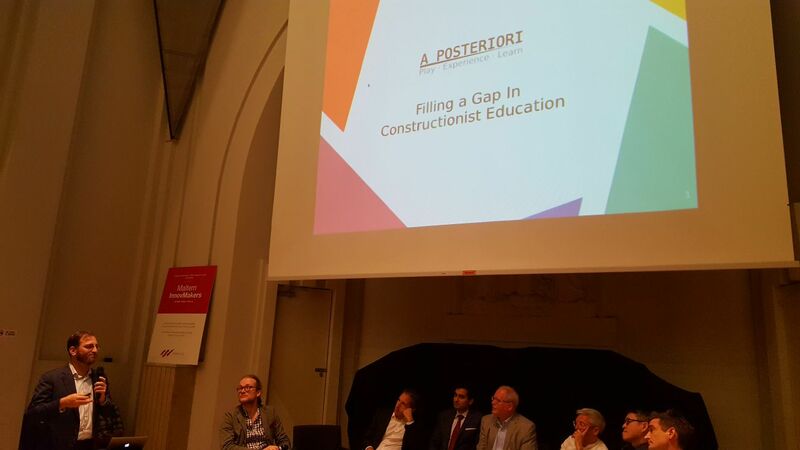 For a slideshow of my talk on Constructionism and A Posteriori brand of disruption in the TechEd marketplace, follow this link. We are very proud of our students, especially when they beat all expectations and outperform against all odds. 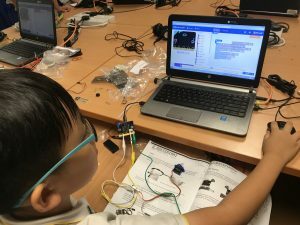 When we won the contract to teach the Junior and Senior CCA Robotics Clubs at Zhenghua Primary, it seemed like a straight-forward LEGO Mindstorms contract. However, we have found out that CCA’s are never just one thing… As long as we behave like teachers or mentors, and not product vendors, we will get to experience a host of exciting curve balls thrown at us, based on the demands and interests of the program managers and their students. 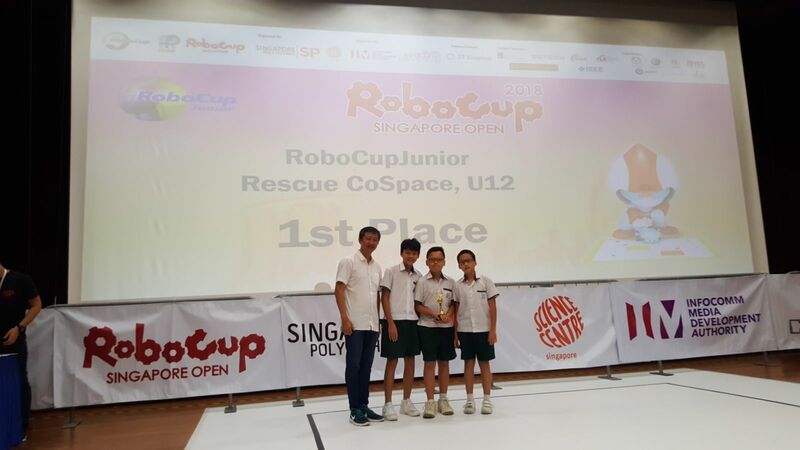 In this case, we were asked to provide Robocup CoSpace Rescue training after just 2 weeks operating a LEGO curriculum there, and fortunately we were ready for the ask. 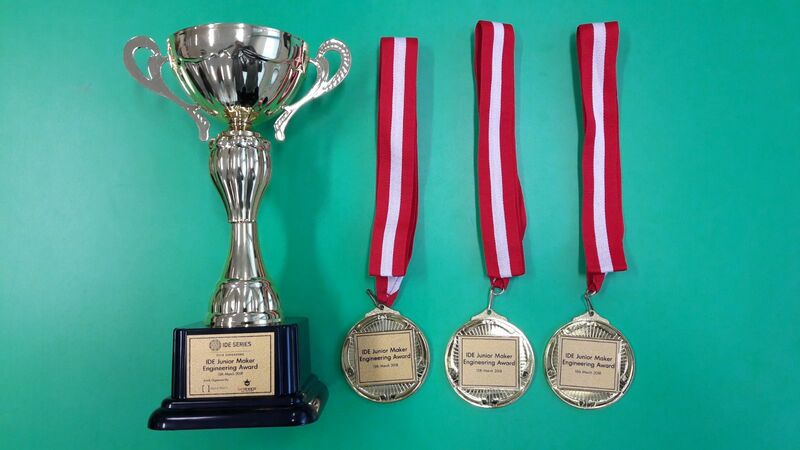 Last weekend, the teacher-in-charge sent me a congratulatory notice about his club’s first place win at the national Robocup Junior event – one of the best achievements they ever had. RoboCup Singapore this year had a lot of technical issues, leading to the competition being delayed a few weeks back unexpectedly, and taking place during a weekend after the schools normally stop the afternoon extracurricular clubs, so the kids can focus on their end-of-semester exams and projects. Still, the Science Center Annex was packed on Friday afternoon, during the registration and practice session. 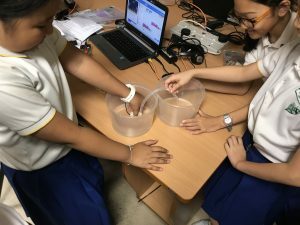 The atmosphere was charged and we met teachers and teams we work with from Zhenghua and Temasek Primary schools, and Pei Hwa and Swiss Cottage Secondary schools. 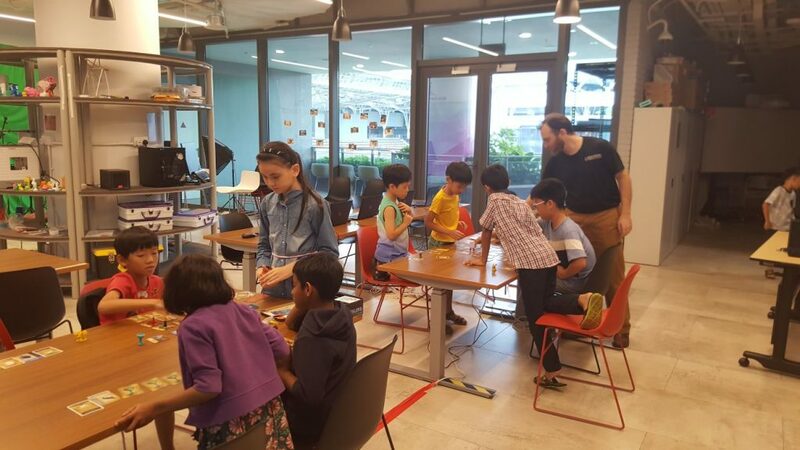 We have been working with some of those kids on these teams over the past 3-4 months using various Robotics curricula, sometimes specifically training them towards the Robocup competition challenges – namely line-following techniques, C language, and event-based programming. RoboCup Grand Prix & Rescue Line challenges require robust line-following capability: tricky maps that change from round to round. I’ve enjoyed the competitive atmosphere of technology challenges, ever since my earliest days at Tufts University, working with my freshman-year roommate on our entry to the American Nuclear Society automation conference Robotics Challenge in Savannah, Georgia. Two decades forward, I’m still enjoying it both vicariously through our client schools, as well as with our company’s ongoing efforts to operate as engineers and makers, not just educators. Kudos to Singapore’s Education (MOE) and InfoComm (IMDA) ministries, and their various academia partners, for making an effort in this area – motivating and subsidizing a relatively wide array of events, challenges, and competitions to help all students reach their true potentials. Last weekend, Cort and I tested out our first IMDA-sponsored course, free and open to the public. The theme was Board Game Design, and we used 3D design (utilizing the free and child-friendly TinkerCAD) and 3D printing to provide a technological edge to the otherwise traditional medium. 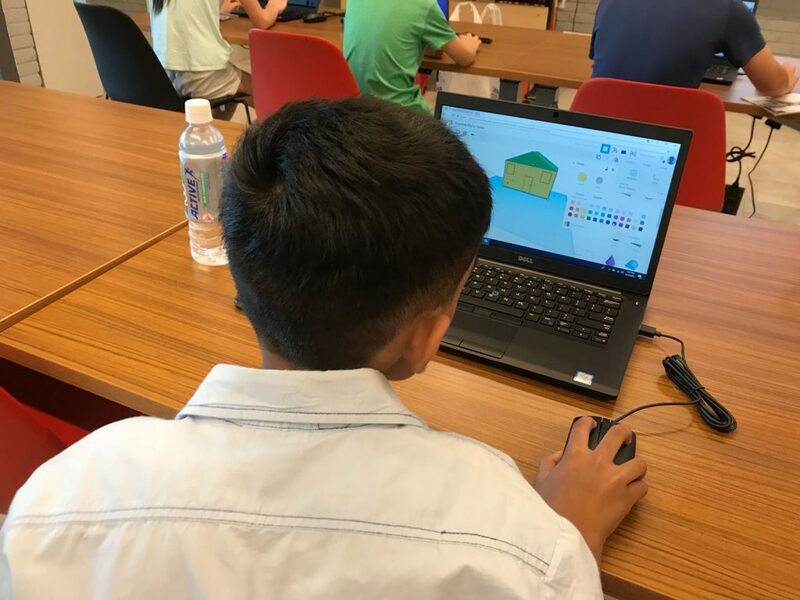 We held the 6-hour workshop over 2 days in the IMDA Pixel Lab MakerSpace at Tampines Regional Library. We limit front-of-the-class instruction time, and try to spend the bulk of our lessons helping learners with specific problems. This encourages the broadest learning experience – lots of trial and error, creativity as no rigid script or prescription to follow, and dynamic, on-the-job learning. Just like the real world! We had a wide range of relatively young subscribers from 6-12 years old, so it was a bit of a challenge to keep a strict pace. However, it was great watching the older kids bringing the younger ones along on their gaming sessions. 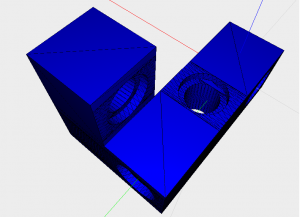 And the youngsters of the bunch were surprisingly adept at manipulating 3D objects in TinkerCAD. 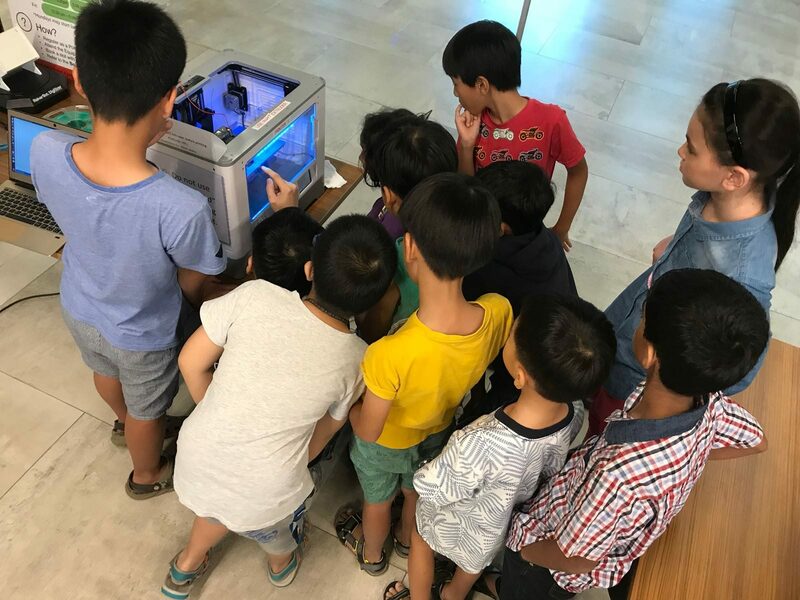 Each child left the workshop with one original 3D design printed on the single 3D printer provided in this MakerSpace. The lack of resources was a frustration for us and the students alike, so we’ve taken that to heart in our latest pitch to a primary school interested in this curriculum for its Infocomm & Media Club. We hope to bring this original technology module to a wider audience around the island. Our Chief Engineer, Cort, has been leading various LEGO Mindstorm-based CCA’s, teaching the basics of mechatronics with the constrained and limited world of EV3 kits. Sure, the LEGO Education kits are a masterful creation and a gateway drug to all things STEM. Don’t get us wrong – We love LEGO! But, teaching a full STEM curriculum with JUST LEGO can be difficult for a creative engineer knowledgeable in a wide world of technology and fundamental science and math. So, as one progresses from basic line-following, two-wheeled contraptions to original works of art and mechanical design it can get frustrating to look for a part that may or may not have been thought of a universal joint by LEGO designers, as incredibly awesome as they may be. Enter LEGO Mindstorm Part Builder. So, of course, Cort went forth and designed a simple tool for him to easily fabricate universal joints of his own and students’ liking. The premise is that most of LEGO’s mechanical parts fit in a 3D grid of blocks with holes drilled in various dimensions, and parts that lock these bits into place with respect to one another. Well, one sometimes just wants to take advantage of that world and enhance existing EV3 kits with non-existent parts that would enable them to put the LEGO pieces with respect to one another in ways cumbersome or impossible to do according to LEGO Mindstorm’s design, whether it was done on purpose or due to other limitations. LEGO cannot sell every part of every type in unlimited quantities to every LEGO user, so we understand the conundrum. However, we have found a solution! Or risk the fate of Kodak. Nan Hua Primary Infocomm & Media CCA hired us to teach a Drone Flight School & Coding curriculum for one semester. The club had 7 Mambo drones and 15 iPads with Tynker app installed. Tynker is a Scratch-based block programming educational app, with built-in Mambo drone support via Bluetooth. Tynker’s block API for Mambo was fairly limited. Liftoff, Land, Move Up, Move Down, Forward, Backward, Turn # of Angles Clockwise, Counter-Clockwise, etc. Not much sensory information, no real-time feedback accessible to Tynker API or the programmer. At first, we were worried we wouldn’t be able to teach this limited API for a whole semester, but we brainstormed a fun-filled, experiential-based, challenge-framed set of lessons that exercise fundamental computing, drone flight basics, aerial photography, animation, and other topics. Flight School: basics of drone control system, flight controls, yaw/roll/pitch, etc. Capture the Flag: Use aerial photography to capture shots of secret hiding places of the enemy team. Retrieve material intelligence data first to win. Mixed Media: Now it’s time for everyone to work together. Choreograph a mixed media show with drones, animation, and music. 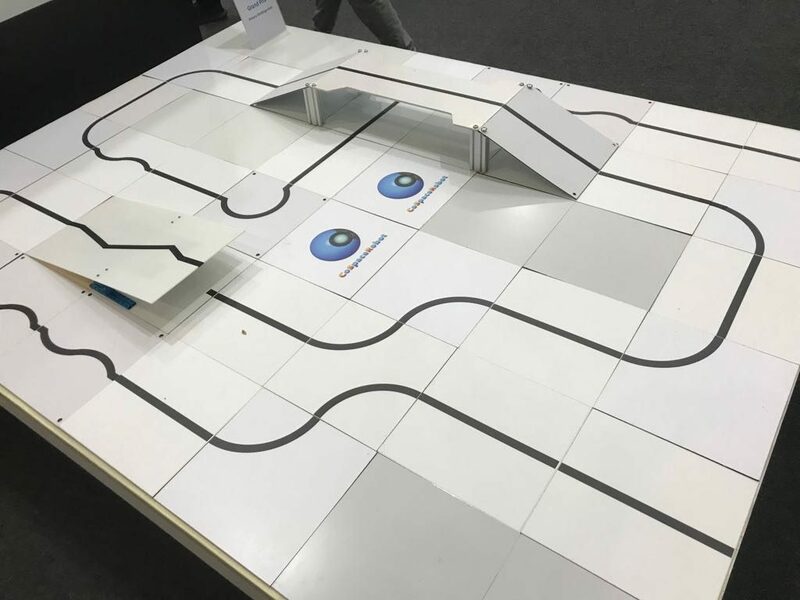 Lessons 8-12 were our original intention for the program’s finale, but now we are involving the club in the new Drone Odyssey Challenge, a Science Center-sponsored, Parrot Mambo coding competition for Primary and Secondary school students. Just in time! Without much time to prepare, really a month, including four 1.5 hour sessions, where my time was divided among 2 competitive teams, as well as the recreational CCA groups, one of the IDE Series entries – Garbage Boat – managed to catch the eyes of the judges and win a nice award. I have to say, the 2-boy team was extremely excited about the project from the beginning. When the motors that we had in class didn’t work well, they brought a couple of toy 3V motors from home and experimented with them. They designed the garbage scoop all on their own, and even re-engineered the boat from an air-propelled craft, to a more conventional water-propeller vehicle similar to regular boats. As we entered the competition space, we realized the boat was in a very bad shape – all the wiring had to be redone. I worked with K-Boy, getting in a bit of experiential learning with a soldering iron, a crimping tool, and a glue gun. He managed to secure the micro:bits, motors and props just in time for his showcase (… and get the nurse to bandage his minor soldering iron burn…). The all-girls Sail Train team didn’t win an award, but were very proud to participate and represent their school.